GOSH is a canadian brand, found mostly in Shoppers. 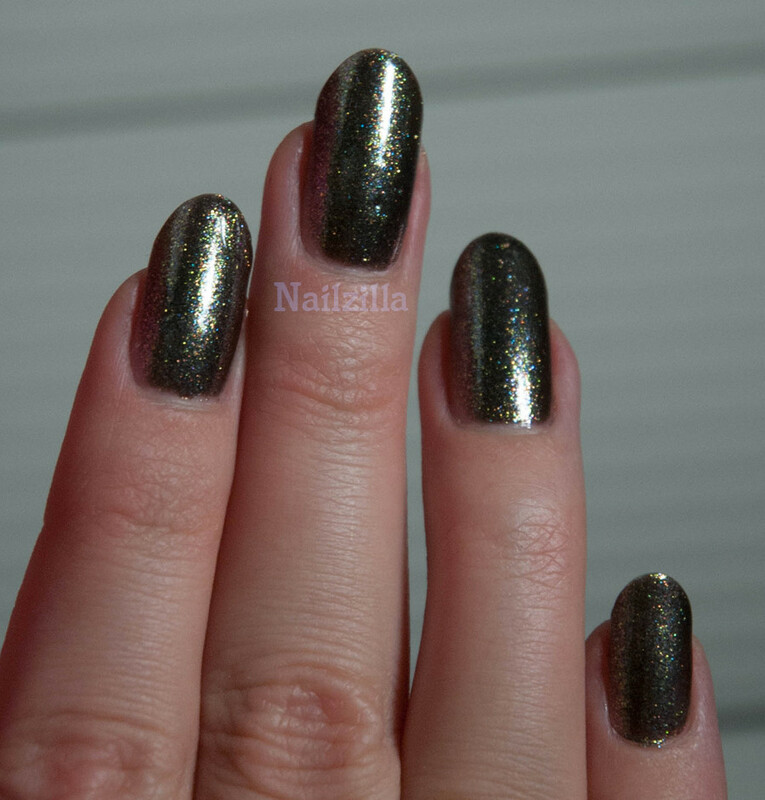 This polish really stood out from the rest - a reddish, golden glitter with blue specks in a silvery bronze base. The bottle itself separated into a red and yellow half, but it's all mixed on the nail. It's a charcoal base not unlike Revlon Carbonite and it has teal, bronze, gold and green microglitter. It looks grey with bits of gold and a flash of teal. Texture is nice, a little thin, but applies smoothly. I couldn't get it to try properly, since it needed about 4 coats to be opaque. It looks a lit less bronze on the nail, but I like the subtle flashes of other colors. Definitely one of the most unique colors I own, especially in the glitter department.